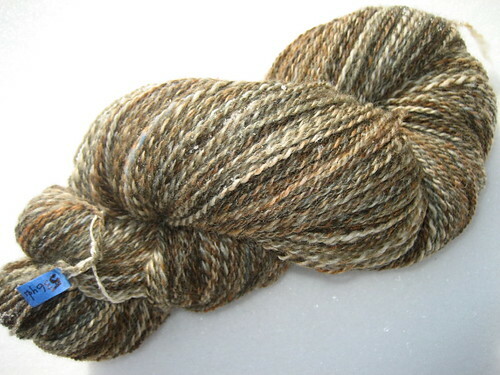 I love all of the spinning you've been doing! Gorgeous! Your spinning is truly lovely. And congrats on the weight gain! 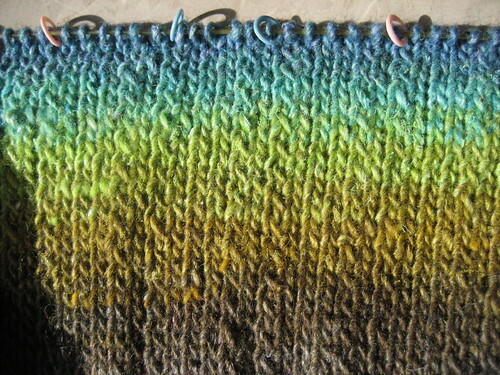 and wow, all the yarn looks so nice! i ahve been spinning all week too—it's less complicated than knitting after these looon gwork days (i'm still at my desk working now, and it's nearly 10pm). but happy you gained weight! Gorgeous! I am pretty sure that I ate nothing but tandoori chicken curry and Dairy Queen banana splits (not at the same time.. ) while I was pregnant.. I'm usually pretty good about my eating habits, so it was sort of fun to 'eat for two'. Glad the appt went well and you get to eat goodies! 5 lbs?! Puh-leeze. My SIL gained 84 lbs during her pregnancy - this was after her sister gained 72 lbs so SIL swore she'd never let herself get that big. HA! Everything looks so nice! Love the stuff you did at SPA, I'm sure they will become some very beautiful socks. Yay on 7! That means good things for the goob. Your spinning is lovely. That's lots of product. It'll be fun to see what they become. 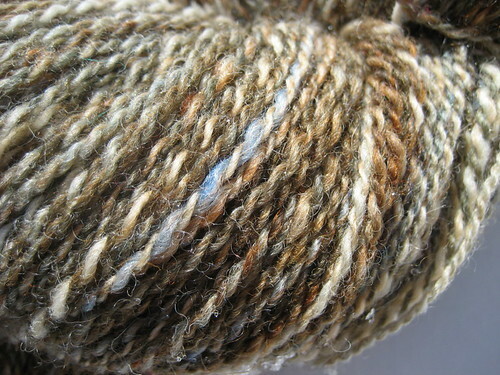 I especially like Calico Cat and the BFL. Two ply, each? 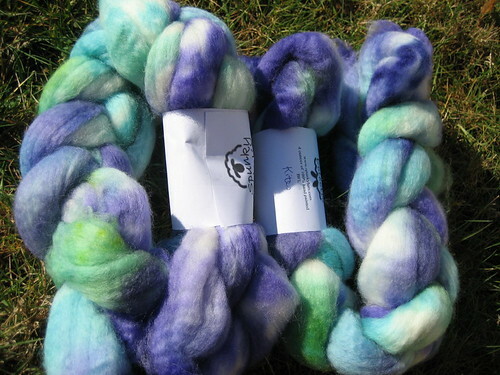 Wow....all of the spinning looks wonderful!!!! 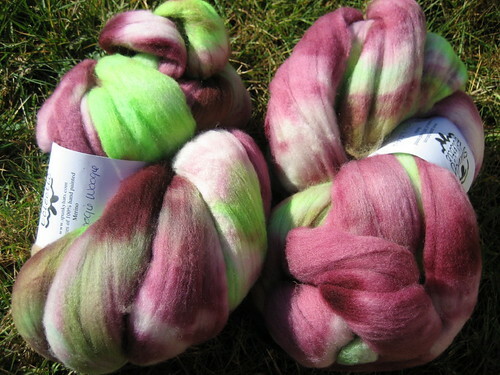 It's making me want to get my dye pot out again right now...LOL. How did you find time to eat and still do all that spinning? Congratulations on the good report on the little one. 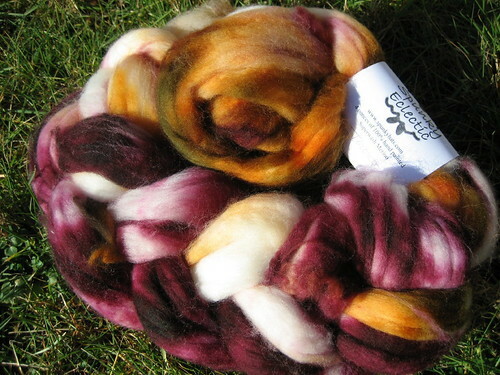 Your spinning is fabulous - truly lovely! that is some beautiful spinning! 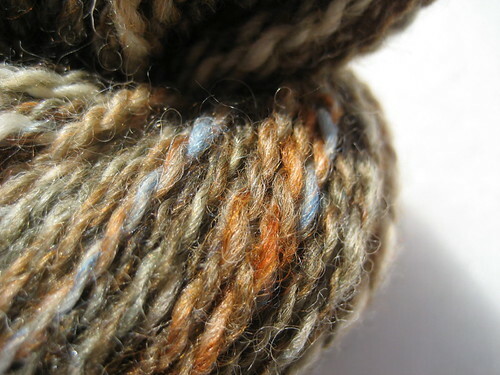 I can't wait to see the rest of the fiber spun and plied - the kites came out wonderful - it will make beautiful socks! 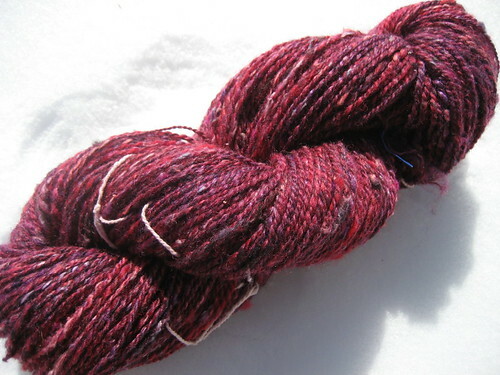 i hear that red is the hardest dye color to stop bleeding (ironic) - it will make a super cute hat though! Wednesday, February 28, 2007 9:21 AM by Beth S.
Any of today's photos would make sublime desktop wallpaper. Calico Cat: love, love, love! Even though it gave you so much trouble. ;-) That little wink of blue here and there makes it so charming. You have quite a bit of it--any idea what it will become? That loss of twist happens all the time - boggles my mind that so few people notice it. Pretend you are pinching a ribbon yarn that is full of twist and pulling it through your fingers - pinch hard enough and the twist is pushed back behind the fingers and the yarn is straight after the fingers. Pinch loosely, and the twists pass between your fingers. The last loop of the WW is pushing back plying twist. (Actually, any place the yarn drags gets some pushback force.) Try adjusting your tension (minimize) and try putting in extra twist to compensate. You've been busy! 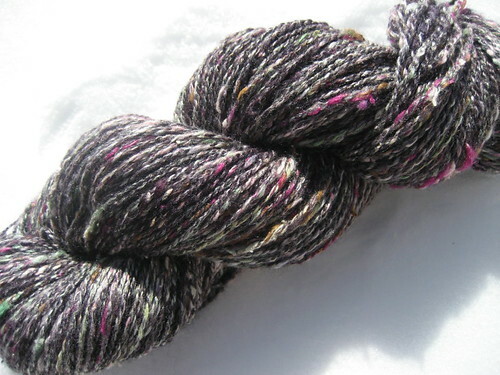 My favorite of the skeins you showed today is the Kites. Just love those colors - and how the barber pole is there, but subtle. As much as I love the WW for plying, I find I don't have the same control that I do without it. It takes some getting used to. 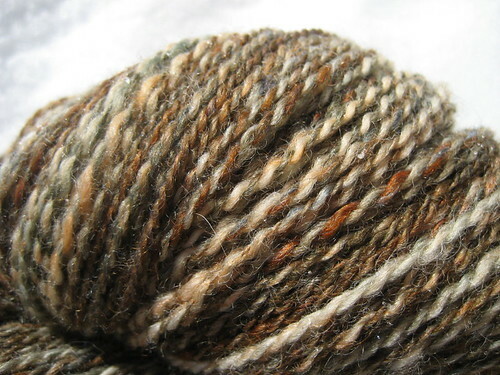 I really like your Calico Cat yarn and the BFL is just gorgeous. 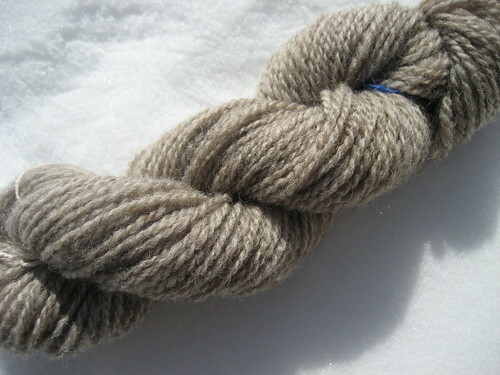 BFL is my favourite fiber - it feels great to spin and it makes lush, lofty yarn. Lovely work! 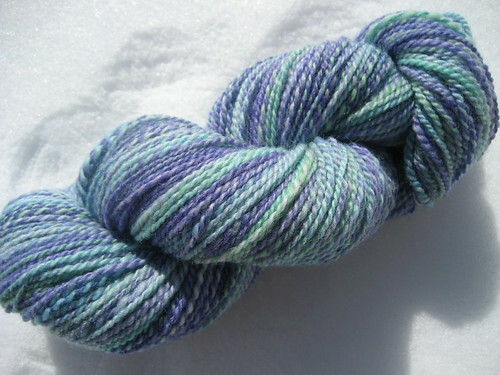 Such pretty pretty yarn! I love your spinning! 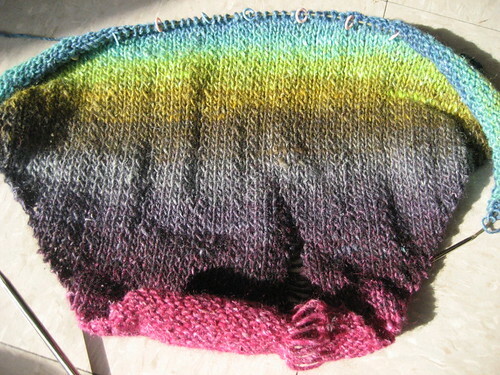 Your Crosspatch Creations skein looks wonderful!!! I did buy 2 bags of it because of your influence at The Gathering. I can see that the baby is growing from your latest posts!!! Conserve your energy!